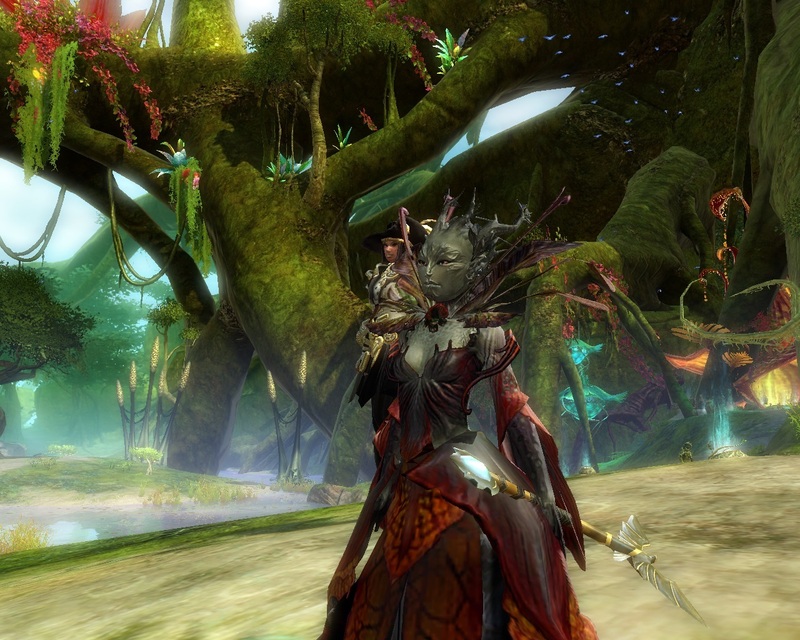 In Guild Wars 2, the Sylvari are a humanoid plant race that do not reproduce sexually, but they still have romantic relationships with each other, through which they may pursue someone of any gender. Caithe and Faolain (minor NPCs) are firstborn Sylvari (meaning they were some of the first of their race to be born from the Pale Tree), and from the beginning they decided to see the world together. Their friendship developed into an intense romantic relationship, but the two were separated when Faolain decided to align herself with the Nightmare Court, with Caithe choosing to remain in the Destiny’s Edge guild. However, both characters claim to still be in love with each other and vow to be reunited someday. 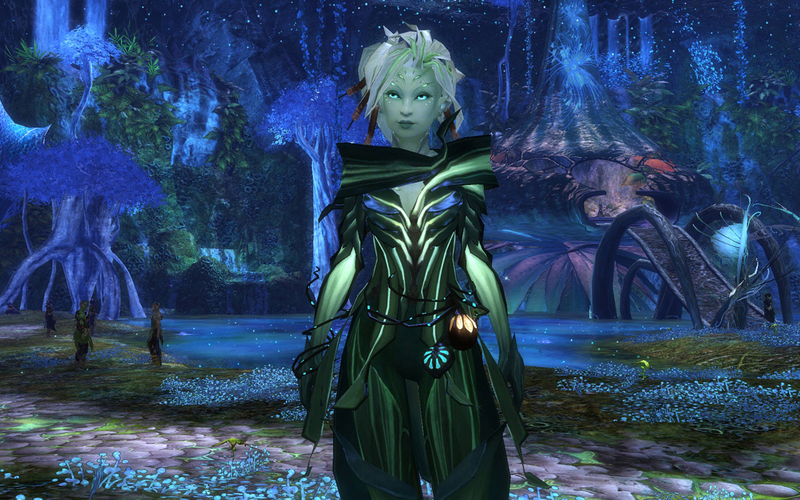 This Let’s Play video discusses the lore surrounding the Sylvari race. This entry was posted in 2010s, Characters, Lesbian, Lesbian (explicit), Queer women on June 24, 2016 by Adrienne Shaw.